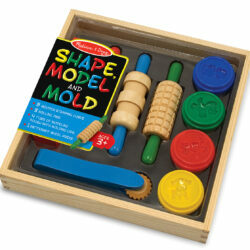 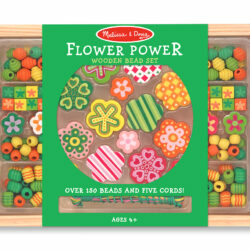 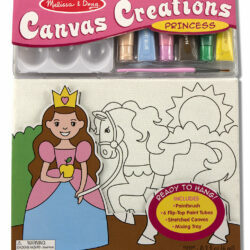 Canvas Creations painting kits for kids include complete supplies for an exciting painting project on a real canvas! 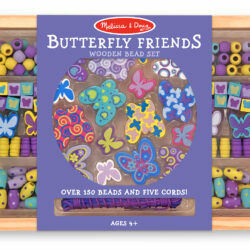 Included are a preprinted canvas stretched over an 8×10″ wooden frame, six flip-top tubes of paint, a mixing tray and a brush. 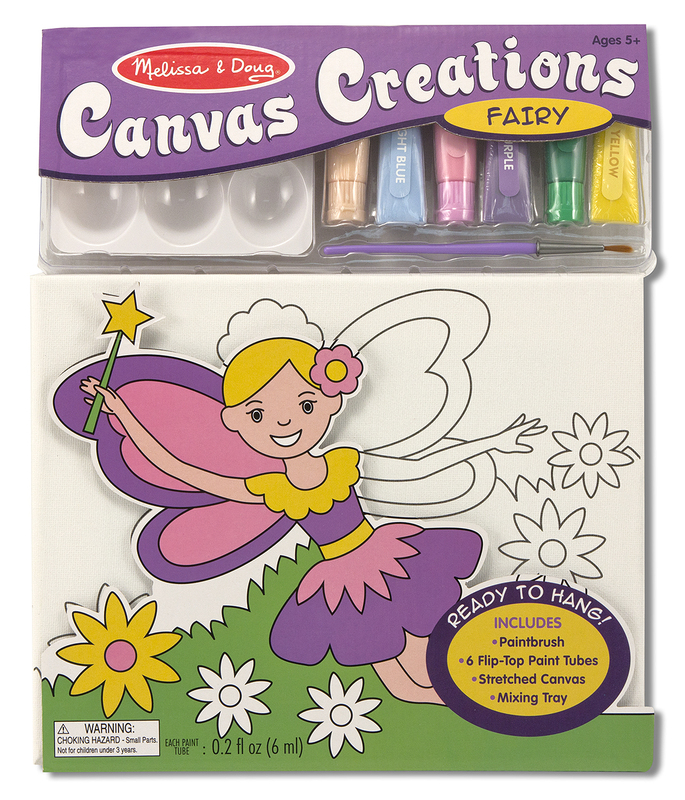 Young artists can mix and blend the perfect shades to fill the line drawing of this enchanting flying fairy!